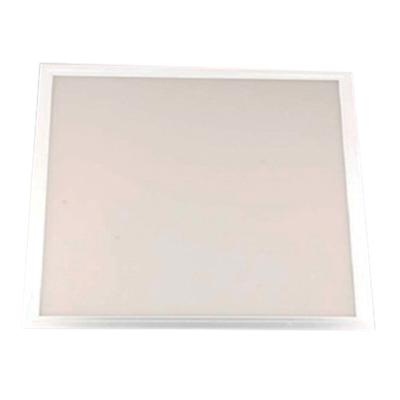 Mobern Edgelit Collection LED Flat panel light in white color, features high-grade aluminum housing. The frosted lens offers even light distribution. This light in square shape, has 35-Watt LED lamp that has voltage rating of 120 - 277-Volts. Lamp has more than 80 color rendering index and color temperature rating of 4000K to ensure optimal light level. Lamp offers 4000-Lumens of bright light output. This light measures 24-Inch x 24-Inch x 0.5-Inch. It has 0 - 10-Volt dimming control. It has 50000 hours of average life. This light is ideal for use in commercial, industrial, healthcare, hospitality and many more. Light is cULus listed, DLC certified and RoHS compliant.